It’s not just a rental. It’s a Toyota! 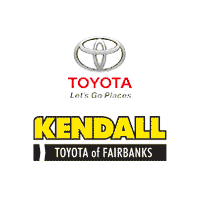 Kendall Offers Insurance Specials and Great Daily and Weekly Rates on Rental Vehicles. If you’re in need of a rental vehicle, look no further than Kendall Rent-A-Car. Whether your car is in for repairs or you’re planning a road trip with the family and need something with a bit more room, we’ve got the vehicle for you. At Kendall Rent-A-Car, you’ll find a great selection of affordable vehicle rentals, from compact sedans to spacious SUVs. We also strive to provide the same unrivaled customer experience that you’ve come to expect from Kendall. Combined with affordable and competitive pricing, there is no reason not to take advantage of our rental services.